I congratulate the 60 New Zealand graduate students, academics, artists and professionals honoured as Fulbright grantees at a ceremony at Parliament this evening. Fulbright New Zealand provides opportunities for promising graduate students to complete a post- graduate degree at an American university in areas targeted to support growth and innovation in New Zealand. The grantees are awarded up to US$31,000 each year, towards one year of study or research in the United States. The Fulbright programme is important in contributing to the on-going New Zealand – United States bilateral relationship, and this link between our two countries is stronger than ever. It is more than six decades since the Fulbright programme between our two countries was established and in that time hundreds of New Zealanders and Americans have studied, researched and taught in each other’s country, making substantial contributions in their fields. Out of the 60 outstanding grantees, thirteen have received a Science and Innovation Graduate Award which are aimed to support New Zealand’s economic, social, environmental and cultural needs, and to build international science connections. The United States is one of New Zealand’s top science and technology partners, accounting for approximately 25% of all New Zealand’s international science connections. The Science and Innovation Graduate Award is designed to support the continued growth of this mutually beneficial relationship. Andrew Pauling from Dunedin will research the impact of Antarctic ice sheet collapse on the global climate at the University of Washington in Seattle, towards a PhD in Atmospheric Sciences. Angus Chapman from Wellington will complete a PhD in Psychology, specialising in cognitive neuroscience, at the University of California, San Diego. Lottie Boardman from Christchurch will complete a Master of Environmental Management degree at Yale University in New Haven. David Robinson from Hamilton will complete a Master of Science in Robotic Systems Development, at Carnegie Mellon University in Pittsburgh. Hanareia Ehau-Taumaunu from Ruatoria will complete a PhD specialising in plant pathology at Penn State University. Hazelle Tomlin from Christchurch will complete a Master of Environmental Science specialising in Greenhouse Gas Management and Accounting at Colorado State University. Jeremy Lee-Hand from Dunedin will complete a PhD in Physics specialising in Condensed Matter at Stoney Brook University in New York. Kate Turner from Dunedin will complete a PhD in Geophysics specialising in sea ice geophysics within a collaborative research environment of scientific and indigenous knowledge at the University of Alaska, Fairbanks. Paige Thomas from Auckland will research the impact of skill training on motor neuron disease at Columbia University in New York, towards a PhD in Speech and Language Sciences at the University of Canterbury. Rahul Gandhi from Auckland will complete a Masters in Public Health focused on Global Health, from Harvard University in Cambridge. Rebecca Bonnevie from Wellington will complete a Master in Laws specialising in information privacy, cyber security, and law and the internet at Columbia University in New York. Richard Hunter from Christchurch will complete a Master of Science degree in Aerospace Engineering, specialising in space vehicle design and optimisation, at the Georgia Institute of Technology in Atlanta. Sarah Nelson from Christchurch will complete a PhD in economics, specialising in renewable energies and the environment, at the University of California, Santa Barbara. The Science and Innovation Graduate Awards are offered in partnership with the Ministry of Business, Innovation and Employment. For more information about this year’s Fulbright grantees see the 2017 Fulbright New Zealand Grantees Booklet, here. 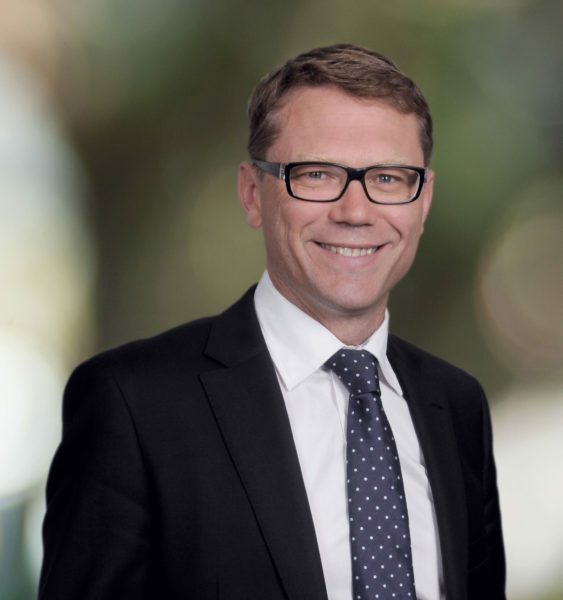 Paul Goldsmith is Science and Innovation Minister of New Zealand.